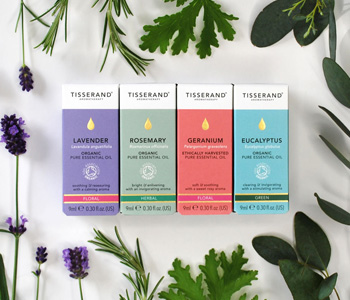 The multitasking Tisserand Pure Essential Oils collection is suitable for bathing, vaporisation and massage. They can be used on their own, or combined, which makes them both effective and fascinating. Whether you want to add a few drops of oil to your bath to create a relaxing haven, mix several oils to a vegetable oil base for a wonderful massage treatment, or put a few drops of oil onto your favourite vaporiser to feel refreshed and alert, you need use very little essential oil - often a couple of drops are enough to achieve the desired effect.